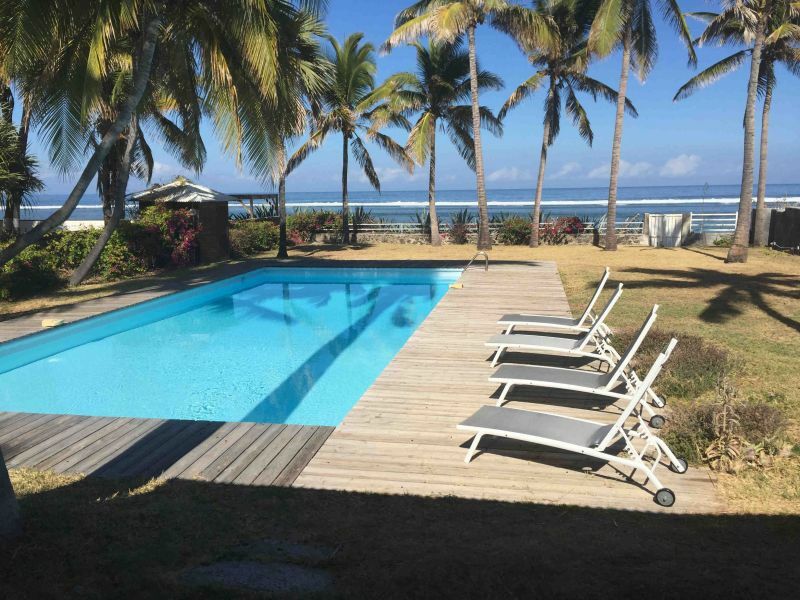 Villa "feet in the water " with pool at the edge of the beach and lagoon in La Saline-les-bains with sea views. There is a veranda, a living room with a comfortable double sofa bed, 3 bedrooms air-conditioned including 2 double and 1 with 2 single beds, 2 bathrooms, 1 kitchen equipped LV LL, All Comfort, Wifi. BBQ. direct access to the beach and lagoon. Possibility to rent a house on the same ground with 2 bedrooms for 5 people. Located on the beach and lagoon of Saline baths, a lagoon where there are corals and small multicolored fish, recommended for snorkeling. The town center of La Saline les Bains is about 3 kms and that of St Gilles les Bains is about 7 kms. Beautiful stay in the villa Coral Pearl which completely corresponds to the description of the ad. House very well equipped for a family stay, washing machine, dishwasher, linen, barbecue, large kitchen where nothing is missing as appliances. The very positive point is its location (close to shops for food) while being the feet in the water with a breathtaking view of the ocean whether in the house or on the deck outside, see in height on the terrace of the floor which allows to see in a privileged way the ballet of whales that cross off! All in a quiet garden. Also available the spa pool very convenient even if for this stay in the austral winter we have not used it much. In summary, we have adopted this beautiful villa as a family home and will enjoy all the time of the holidays! House very nice, well kept, spacious, comfortable, well located with respect to the place (5 minutes walk). Nelly welcome. The rate varies between 250 and 600 euros per night depending on PERIOD. There is a minimum of 5 nights.